Praxis has assisted hundreds of client organizations across a broad range of industries. We have developed specific practice areas to meet the unique needs of clients in different sectors. Below are examples of the sectors in which we have worked extensively and samples of clients in each area. The Philadelphia Foundation has been committed to improving the quality of life in Bucks, Chester, Delaware, Montgomery and Philadelphia counties since 1918. Services & Advocacy for GLBT Elders (SAGE) is the country’s largest and oldest organization dedicated to improving the lives of lesbian, gay, bisexual and transgender (LGBT) older adults. City First Enterprises is a nonprofit bank holding company and an incubator of social finance solutions located in Washington, DC, that promotes social justice by increasing economic access and expanding opportunity for low-wealth communities. CFE has launched City First Bank, City First Homes and City First New Markets Fund. In total, the City First family has financed over 5,000 units of affordable housing, 7,000 school seats, and 3,400 jobs. Our mission is to improve the quality of life of people affected by FTD and drive research to a cure. RESEARCH: We promote and fund research toward diagnosis, treatment and a cure. AWARENESS: We stimulate greater public awareness and understanding. SUPPORT: We provide information and support to those directly impacted. EDUCATION: We promote and provide education for healthcare professionals. ADVOCACY: We advocate for research and appropriate, affordable services. Gearing Up provides women in transition from abuse, addiction, and/or incarceration with the skills, equipment, and guidance to safely ride a bicycle for exercise, transportation, and personal growth. The term “women in transition” refers to women who have been formerly incarcerated, have histories of abuse and trauma as kids and/or as adults, have used drugs and/or alcohol as a way to cope with painful experiences and are learning how to live a crime-free sober life with purpose and meaning. 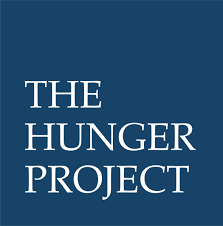 The Hunger Project strives to create a world where every woman, man and child leads a healthy, fulfilling life of self-reliance and dignity. Their mission is to end hunger and poverty by pioneering sustainable, grassroots, women-centered strategies and advocating for their widespread adoption in countries throughout the world. Habitat for Humanity of Bucks County is part of a global, nonprofit housing organization operated on Christian principles that seeks to put God’s love into action by building homes, communities and hope. Habitat for Humanity of Bucks County is dedicated to eliminating substandard housing locally and worldwide through constructing, rehabilitating and preserving homes; by advocating for fair and just housing policies; and by providing training and access to resources to help families improve their shelter conditions. Habitat for Humanity was founded on the conviction that every man, woman and child should have a simple, durable place to live in dignity and safety, and that decent shelter in decent communities should be a matter of conscience and action for all. 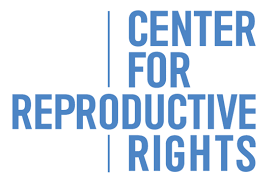 Reproductive freedom lies at the heart of the promise of human dignity, self-determination and equality embodied in both the U.S. Constitution and the Universal Declaration of Human Rights. The Center works toward the time when that promise is enshrined in law in the United States and throughout the world. The Centre for Reproductive Rights envisions a world where every woman participates with full dignity as an equal member of society. Living Beyond Breast Cancer provides programs and services to help people whose lives have been impacted by breast cancer. Their goal is to provide information, community and trusted support that is easy to access and respectful. All their resources are carefully and frequently reviewed by some of the country’s leading healthcare experts and informed by people living with breast cancer. CDFIs (community development financial institutions) work for financial, social, and political justice.Since 1973, these mission-driven financial institutions have served communities and individuals that mainstream finance sees as too risky or not credit worthy enough for financing. As community lenders, they work closely with the people and businesses in these disinvested areas and know that they want nothing more than the opportunity to succeed. The opportunity finance industry offers that chance. CDFI believes in and provide opportunity. For all.